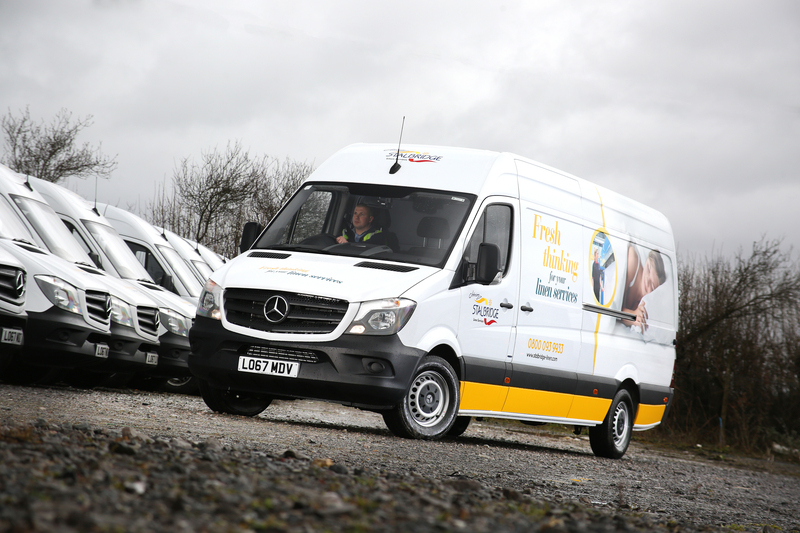 Fraikin has delivered 49 3.5-tonne Mercedes-Benz Sprinter vans into Johnsons Stalbridge Linen Services on a three-year, full-service contract hire agreement, after winning a competitive tender involving three other providers. The deal marks the first time both businesses have worked together, with Fraikin’s flexible approach and ability to facilitate a host of additional extras a defining factor – particularly the arrangement to replace a number of vehicles at the end of each year – ensuring optimum fleet availability and customer profile. The new vehicles join a 150-strong fleet and are like-for-like replacements of older variants previously on contract hire with a competitor. The vans will deliver and collect linen from hotels, restaurants and sporting venues in the UK. Phillip Martin, Transport Manager at Johnsons Stalbridge Linen Services, says: “Our vehicles are on the road 11 hours a day as part of an intense delivery operation. Vehicle uptime is paramount to our business and we need our fleet in the best possible condition at all times. Each Sprinter van has been specified with a forward-facing camera, which allows the customer to view real-time footage, monitor driver behaviour and assist with any potential insurance claims. Content from the camera will also be used in-house to support driver training. The vehicles are expected to clock up 70,000 miles a year and will be spread across the company’s depots in Glasgow, Grantham, Milborne Port, Shaftesbury, Southall, Sturminster Newton and Wrexham. Johnsons Stalbridge Linen Services has provided specialist linen hire and laundry services throughout the UK since 1975. It works with high-profile customers such as Ascot Racecourse, Silverstone and Wembley Stadium and its range includes chef jackets and trousers, luxury bathrobes, waiter cloths and white bed linen.